Diligently working on my second cookbook, Vegan Wanderlust: Your Guide to Being Vegan Anywhere In The World! This is the current cover art, which may change before it it published, but I really like it. What do you think? 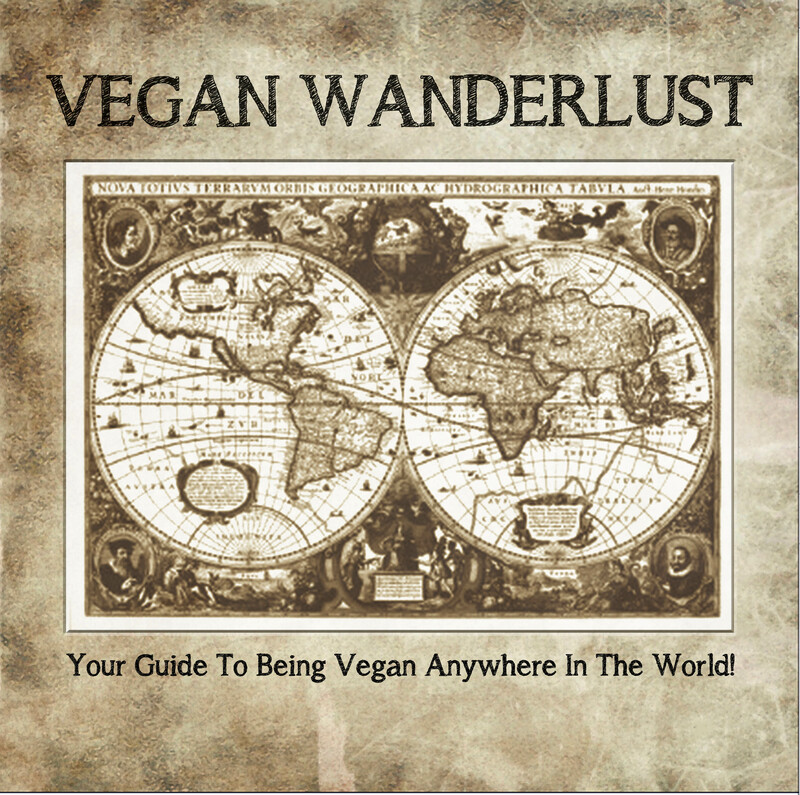 Vegan Wanderlust will also be available in both eBook and paper formats. I suspect it will be too many pages to qualify as a paperback, so may need to be a hardbound cookbook. The artwork and photos will be awesome though, so it may be out on you coffee tables to show off to everyone that stops by. Next postKUTV 2 News SLC promotes a vegan diet!